The new batch includes f-35s with the lowest price in program history. The U.S. Department of Defense and Lockheed Martin have reached an agreement on the next lot of F-35 aircraft (LRIP 10). This lot includes 90 aircraft total - 55 jets for the U.S. services and 35 jets for international partners and foreign military sales customers. Lot 10 reflects a $728M reduction in the total price when compared to Lot 9 and marks the first time the price for an F-35A is below $100M. The bottom line is unit prices, including jet, engine and fee for all three variants. went down. The supersonic, multi-role F-35 represents a quantum leap in air dominance capability. It combines next generation characteristics of radar evading stealth, supersonic speed, and fighter agility with the most powerful and comprehensive integrated sensor package of any fighter aircraft in history. The F-35 is unmatched in its capability by any other tactical fighter aircraft in the world delivering unprecedented lethality and survivability. The F-35A variant comprises approximately 85 percent of the program of record. The F-35A unit price in LRIP-10, including aircraft, engine and fee, is roughly seven percent lower than the previous LRIP-9 contract. Over the past two procurement lots (LRIP-9 and 10), the price of the F-35A has dropped 12 percent. “With initiatives like Blueprint for Affordability and the natural learning curve, we are substantially bringing the cost of each aircraft down and at the same time the F-35 program will continue to add thousands of additional jobs to the U.S. economy as we increase production year over year,” said Jeff Babione, Lockheed Martin F-35 Vice President and General Manager. Currently, the F-35 program supports more than 1,300 suppliers in 45 states, directly and indirectly employs more than 146,000 people. There are also hundreds of suppliers around the world supporting the F-35 program, creating thousands of international jobs. By the 2020s, at full rate production, direct and indirect job growth is projected to be more than 260,000, with a majority of those jobs in the U.S. In addition to procuring the air vehicles, this contract funds manufacturing support equipment and ancillary mission equipment. Deliveries of 90 aircraft begin in early 2018. 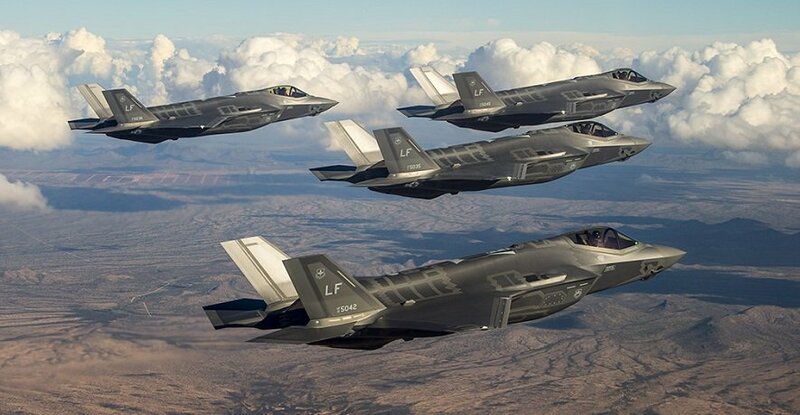 To date, more than 200 operational F-35s are operated by eight different nations including Australia, Italy, Israel, Japan,Netherlands, Norway, United Kingdom and United States. In total, the F-35 program today plans to produce more than 3,000 aircraft with approximately 600 of those aircraft presently planned to be procured by our international allies.